At Express Oil Change & Tire Engineers, customer service and quality care are our top priorities. We employ experienced, certified technicians trained to provide premium total-car care, and we use state-of-the-art equipment and premium parts to ensure the quality of our work. Every member of our in-house mechanical department works fast and works hard to make Express Oil Change & Tire Engineers your one-stop automotive service provider. With 239 locations nationwide, Express Oil Change & Tire Engineers provides specialty service with an emphasis on customer experience. In addition to the oil change, our technicians will check your transmission, fuel systems, air filters, fuel filters, and wipers. We can also provide factory scheduled maintenance exactly to factory specifications. All of these services are performed quickly and with professional care, which makes us the most convenient oil change around. 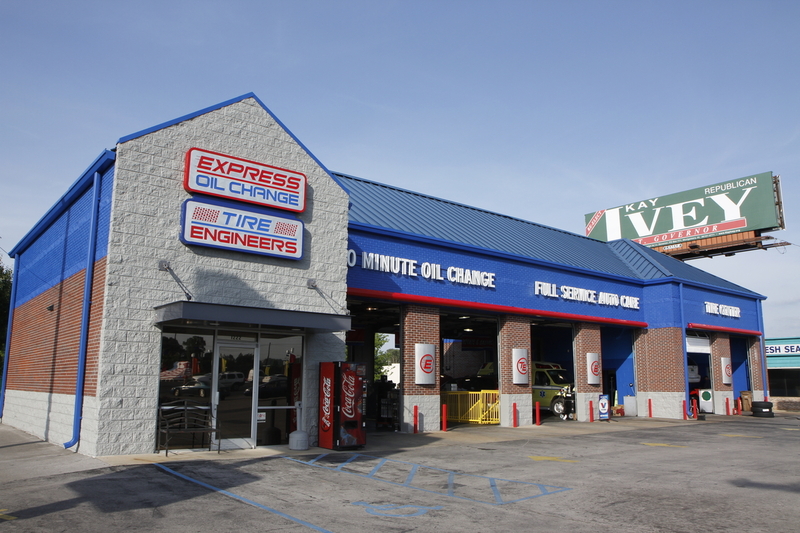 Express Oil Change & Tire Engineers also houses a service center equipped to perform a variety of mechanical services. Whether you need your tires rotated and balanced, a brake inspection, brake service, air conditioning repair, or scheduled maintenance, we’ve got you covered. Our technicians are also qualified to provide expert service on timing belts, belts/hoses, alignment, tires, CV axles, differentials, batteries, water pumps, fuel pumps, shocks/struts, electronic ignition, fuel injectors, computer diagnostics, and other general repairs. In addition, we offer complete fleet customer care. The qualities of all of our services are guaranteed under our warranty, which is our promise of our commitment to the care of your automobile. At Express Oil Change & Tire Engineers, we care about you and your family’s safety, which is why we recommend that flat or damaged tires be repaired by qualified personnel. An improperly repaired tire may fail when driven at high speeds, causing loss of vehicle control.